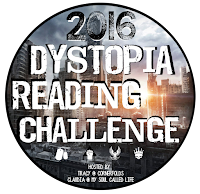 Welcome to the last month of the 2016 Dystopia Reading Challenge! We're so close to the end! I hope everyone has met all their goals for the year!